A very valuable tools in options trading is mapping out what a particular strategy would result. More importantly, it will help you visualize what a certain trade would look like. A good options strategy simulator to try, and one I use frequently myself, is the one from the OIC (Options Industry Council). 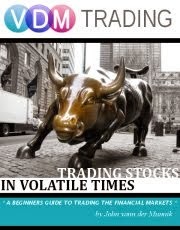 Enter the values of your trade, whether you long or short, the number of contracts, if it's a call or put, expiration date and set its volatility (optional). Here's an example of my recent trade for DELL. It's just a simple basic call position, but it gives me a pretty good over view of what my options trade would result if price hits a certain criteria. 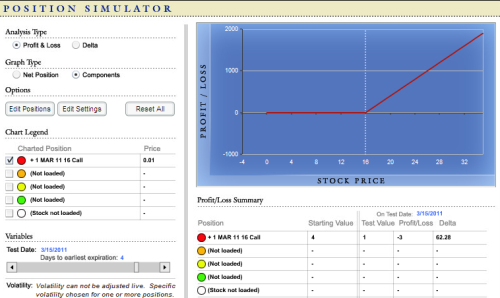 You can find the options simulator here.